When it comes to skincare I'm always trying out new products or trying to get my hands on some, nothing excites me more, and I don't think that's a bad thing. The health of my skin is paramount to me and in the words of Caroline Hirons, I invest in it. Whether thats time or money, I simply cannot justify putting layers of makeup on skin that hasn't been cleansed or treated well. That's why skincare lies at the heart of my passion for all things beauty related. I've had the privileged opportunity in the last few weeks to try out two amazing products from the brand sk:n one of the UK's leading skin clinics offering a plethora of treatments and products to bring out the best in your complexion, promoting inner and outer beauty. 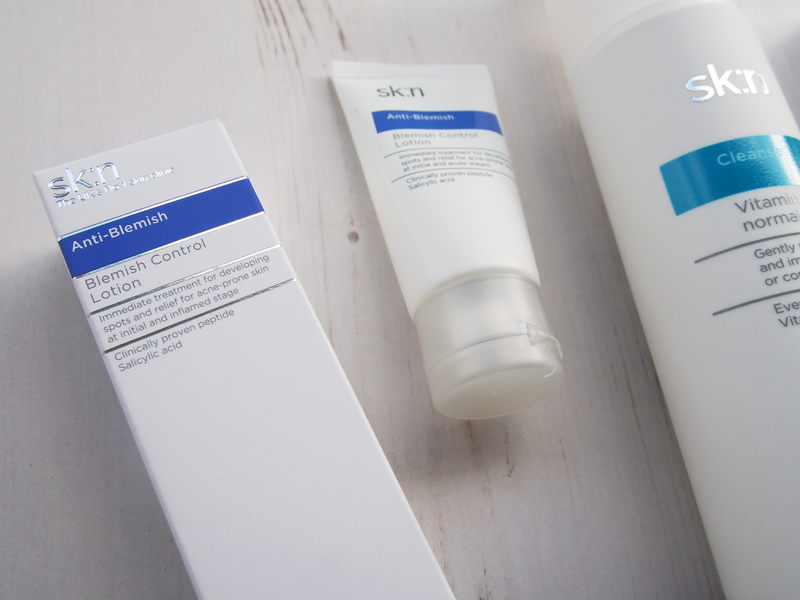 sk:n have 5 ranges of skincare products; Anti-aging, Repair & Protect, Cleanse, Anti-blemish and Corrective. Recently I've been using the Vitamin-Rich Cleanser* for normal/combination skin from their Cleanse range. I love milk and slightly foaming yet soothing cleansers such as this one; my skin not only feels protected and soothed but it also gets a lot of deep nourishment thanks to the Evening Primrose Oil and Vitamins A,C & E. Not only does this product provide the skin nourishment and hydration but it also removes impurities and most importantly makeup. This cleanser is therefore hugely versatile and has many uses within your skincare routine. I personally like to use this product in three ways; as a single morning cleanse, a makeup remover before I exfoliate or as a gentle cleanser post exfoliation. It works well in all three roles. If you're looking to spruce up your skincare routine or looking to add a more nourishing cleanser then the Vitamin-Rich Cleanser is a perfect addition. Don't forget that for those of you with dryer or more sensitive skin they have one specifically for you in the same cleanse range. If you were to ask me what are my top skin concerns, then blemish control would definitely be one of them. I'm lucky enough to have skin that so far hasn't shown signs of acne or is severely blemish prone, but whenever I have a lovely collection of spots and blemishes on my face, one of my top priorities is to treat my skin correctly and get rid of them. 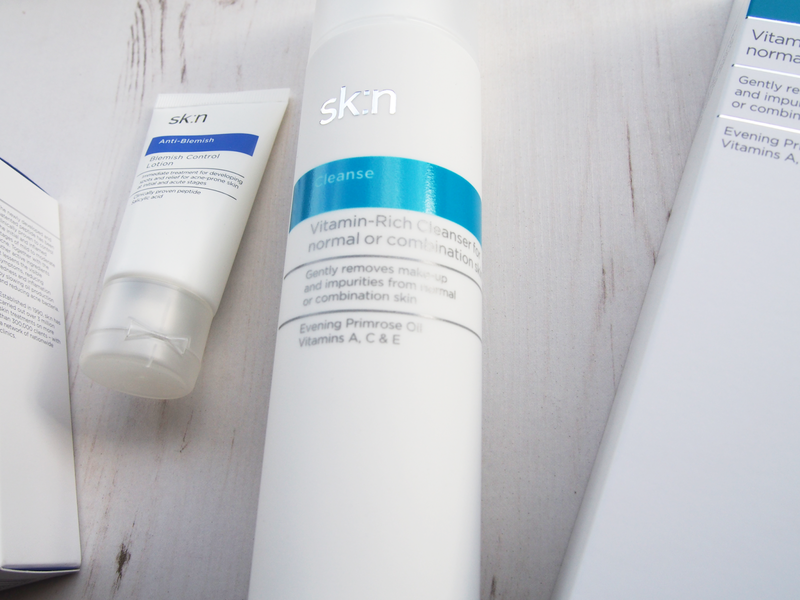 sk:n in their Anti-Blemish range, have the Blemish Control Lotion*, a uniquely formulated lotion for those suffering from the odd or frequent blemishes (like myself) as well as those suffering from acne or anyone exhibiting related symptoms. sk:n's Blemish Control Lotion contains the famous wonder ingredient Salicylic Acid which enables it to unclog pores and reduces the life span of existing blemishes as well as treats the skin for future ones. I like to use this lotion as part of my evening skincare routine because I always incorporate more intense treatments and products at night so they can have maximum effect. With daily use, you can see results between 10-14 days and a continued maintenance of this will sustain healthier less blemish prone skin. I hope you enjoyed reading about whats new in skincare this month and don't forget to visit sk:n's website for further info. In addition to many skincare products, this leading brand have clinics across the UK, so be sure to find your nearest branch to book a treatment! What skincare products have you been trying out lately? What are your thoughts on today's skincare feature?